Our Lady of Sorrows Sports and Arts Kids League (SPARKLE) is located in the culturally diverse and historical Lower East Side of Manhattan. Since 1959 we have been dedicated to teaching our children responsibility, respect and teamwork. Our program provides inner city youths with the chance to interact with each other, gain confidence, self-respect and the opportunity to learn and grow within the friendly competition of sport.  WE PARTICIPATE IN THE WILLIAMSPORT TOURNAMENT & OTHER TOURNAMENTS!! 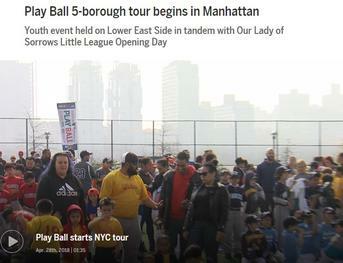 The Our Lady of Sorrows Parish Little League was formed by Fr. Bruce Quinn following through on the suggestion of Fr. Anscar Sullivan from late 1958. On April 4, 1959 the league played its first game. The first pitch was thrown by then Guardian, Fr. Myles Parsons. The league consisted of 8 teams of 15 boys each for a total of 120 boys. The older and bigger boys were put into the 4 major league teams and the smaller boys and beginners were put into 4 minor league teams. We had 3 major league umpires and 3 minor league umpires. Also, we had a manager and a coach for each team. The season almost always began with a blessing at the Church and a parade to the ball fields of the East River Park. The moderator would give the blessing. During the years, the games (exhibition, regular season, tournament, all-star) were generally organized among the parish teams themselves. 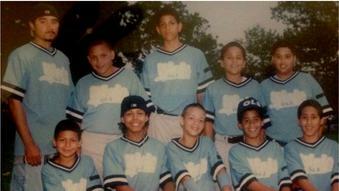 New York Yankees pitcher, Dellin Betances played for OLS LL. Can you guess which one in the photo is him?? 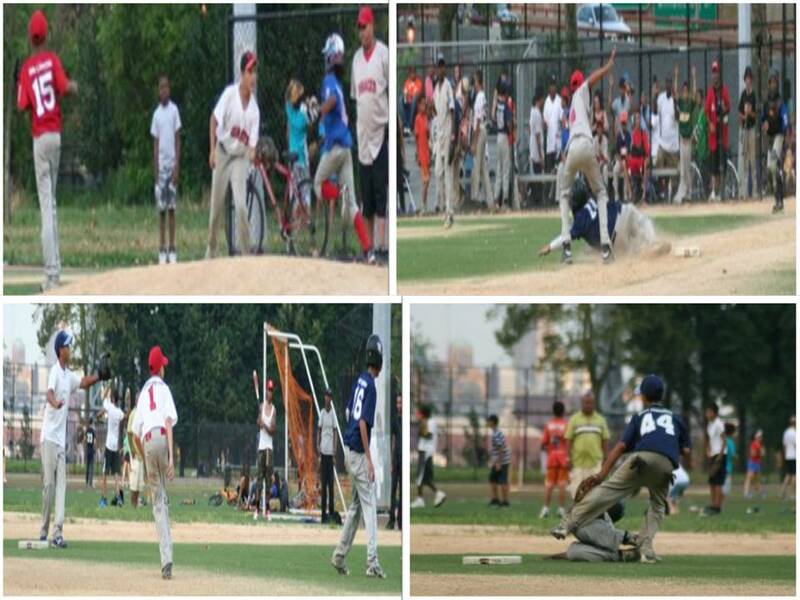 What an amazing Opening Day for baseball and softball on the Lower East Side! 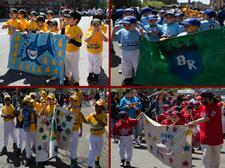 LES OLS LL collaborates with MLB to put forth an amazing Play Ball event for over 300 children. Media coverage of this event can be found below which includes interviews of some players and the President of the League, Tony Rivera. 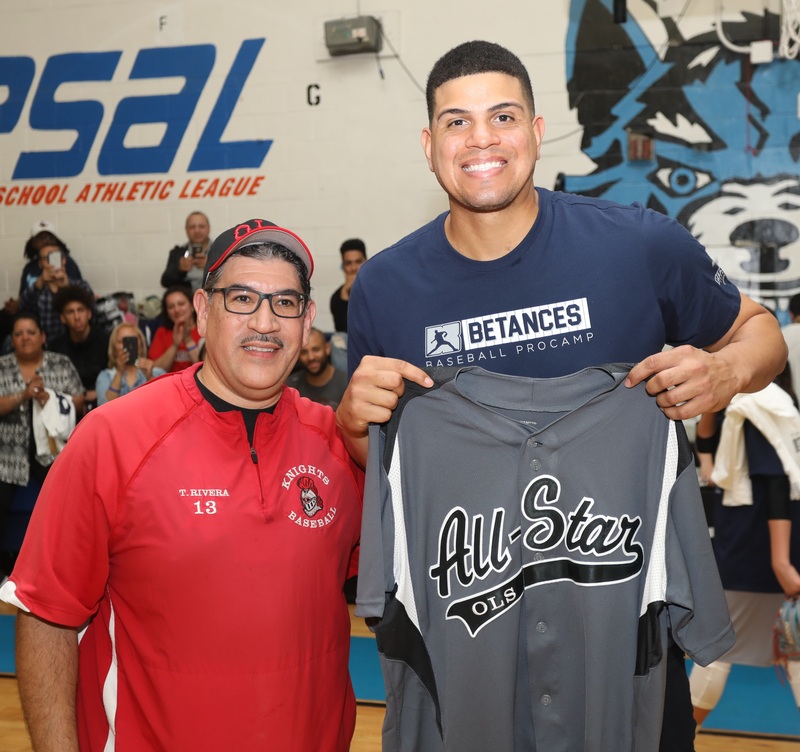 NY Yankees Pitcher Dellin Betances held a baseball camp for the children of the Lower East Side OLS Little League on Saturday, May 12, 2018. The players had fun playing baseball and learning drills.